So, go have fun on the internet! 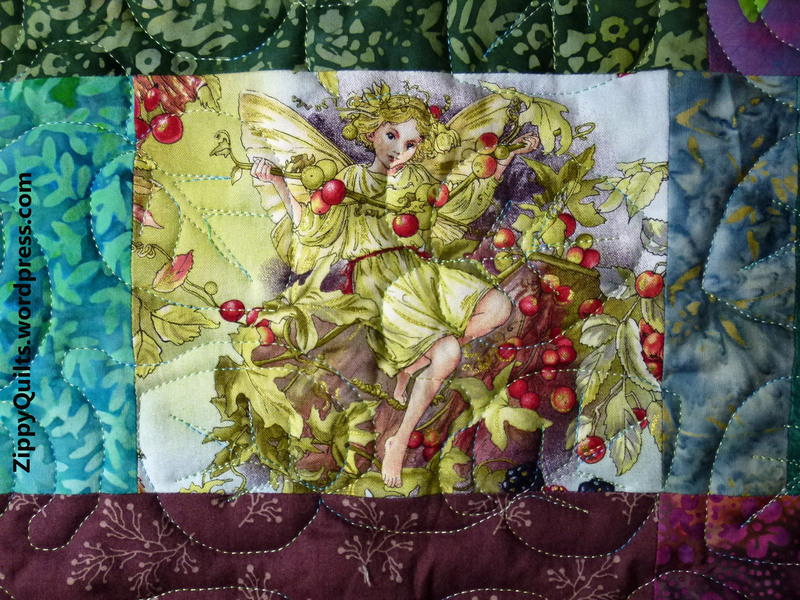 I’ve just submitted my improvisational quilt “In Fairyland” to the Vermont Quilt Festival, and of course I’m hoping it gets in! 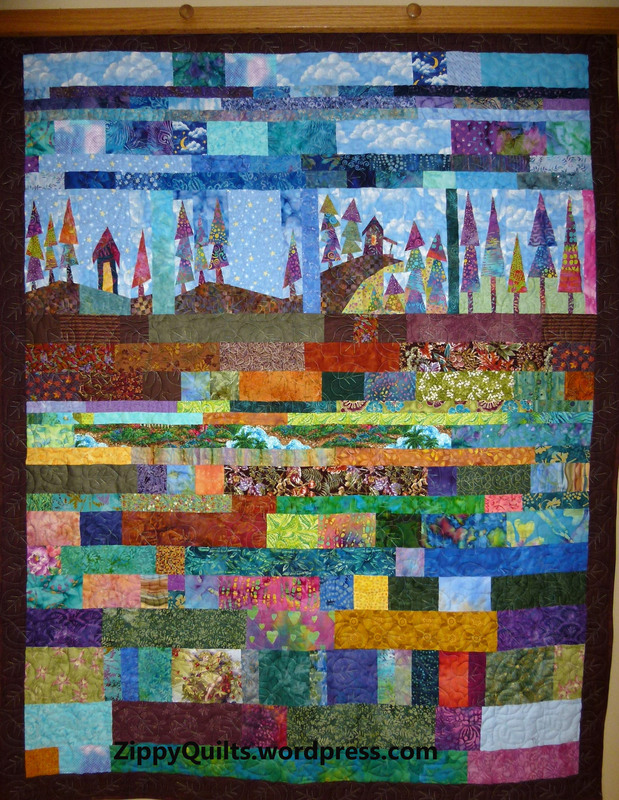 I made the blocks at the top just for fun when I got an EQ add-on called “Town & Country Patchwork” by Cori Derksen & Myra Harder (who have generously agreed to my use of their designs in this quilt for the show). 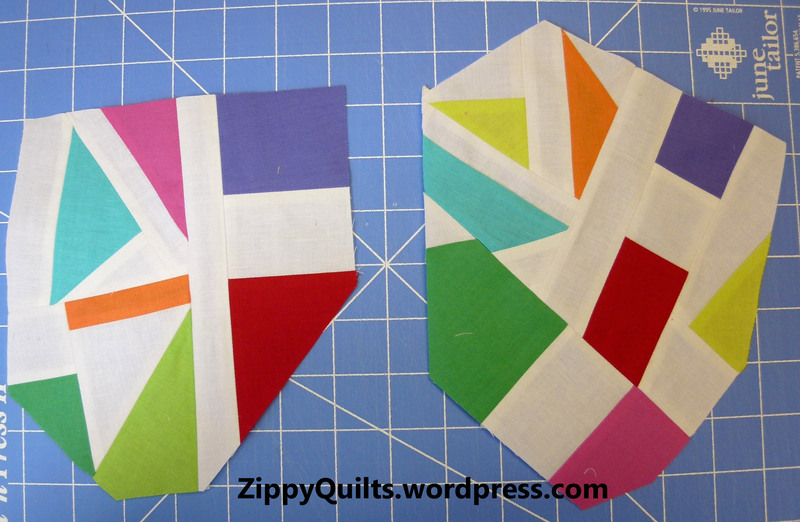 The blocks are paper pieced and I made them in fantasy colors because those were the scraps I had on the day I decided to make them. Then the blocks sat around for quite a while 😉 Sound familiar? Eventually I decided I needed to use up some of my MANY scraps. 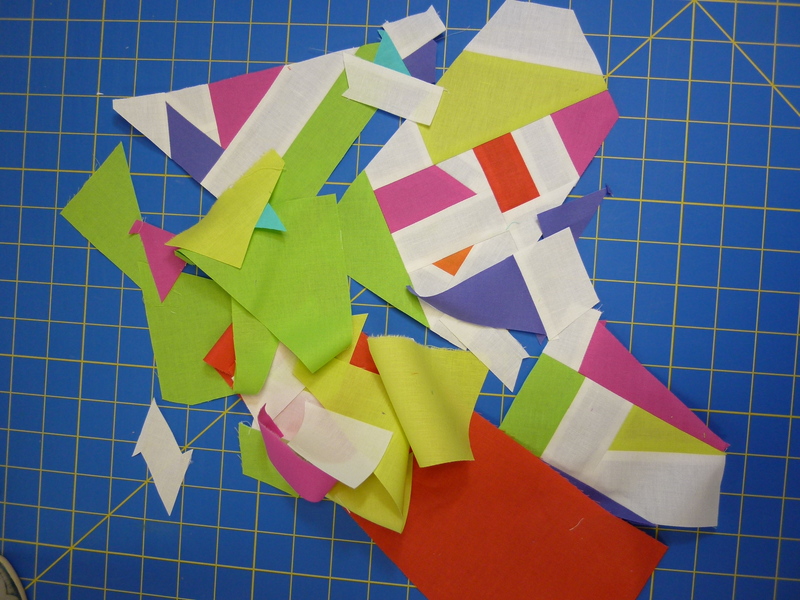 At least the scraps are cut into strips of standard widths, so when I get a notion to use them, they’re ready to go. So I just made rows of scraps, putting the sky-type ones at the top. Below the houses, I arranged the thinner rows in the “distance”. Finally, I found one of the flower fairies and put her in near the bottom. 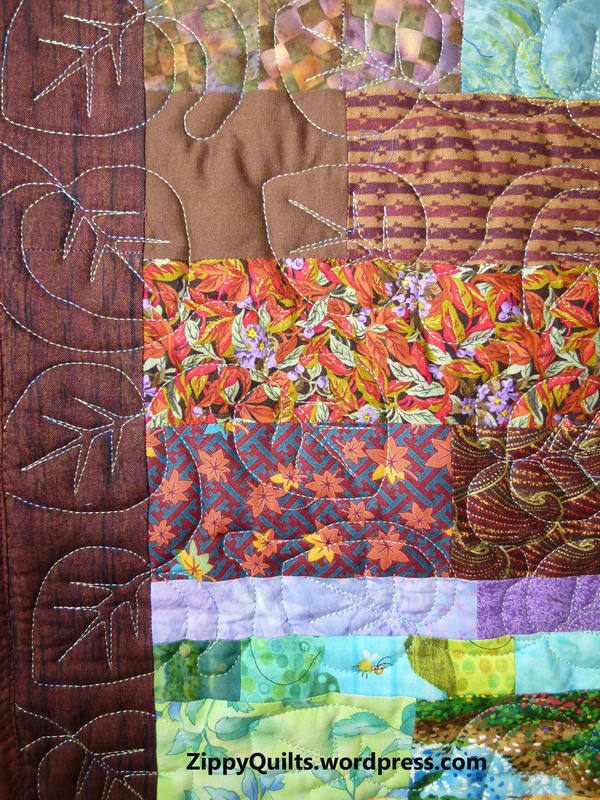 My friend Joyce quilted the whole thing on her long arm, using a pattern of leaves at my request. I’m happy to say I’ll be going to the Vermont Quilt Festival this year–something I’ve wanted to do for a long time. 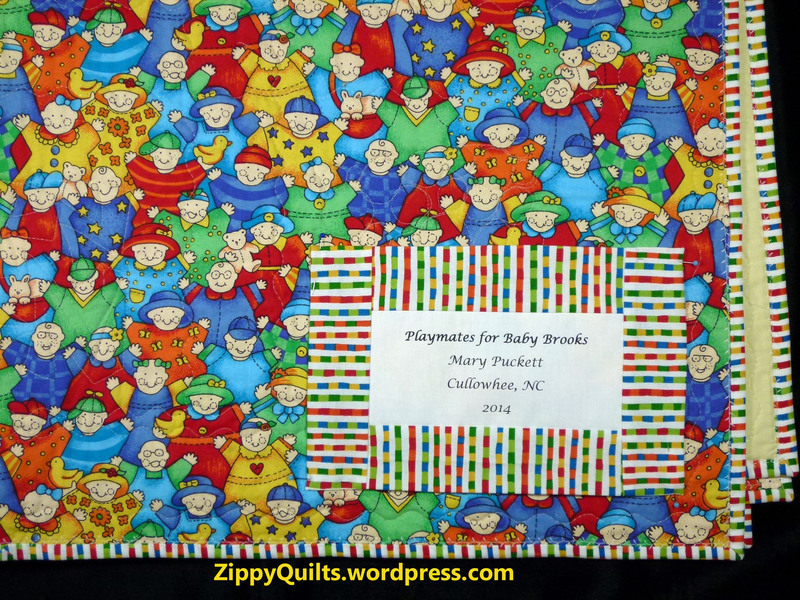 I’m hopeful that “In Fairyland” will be included so I can view my own quilt there! Anybody else going? 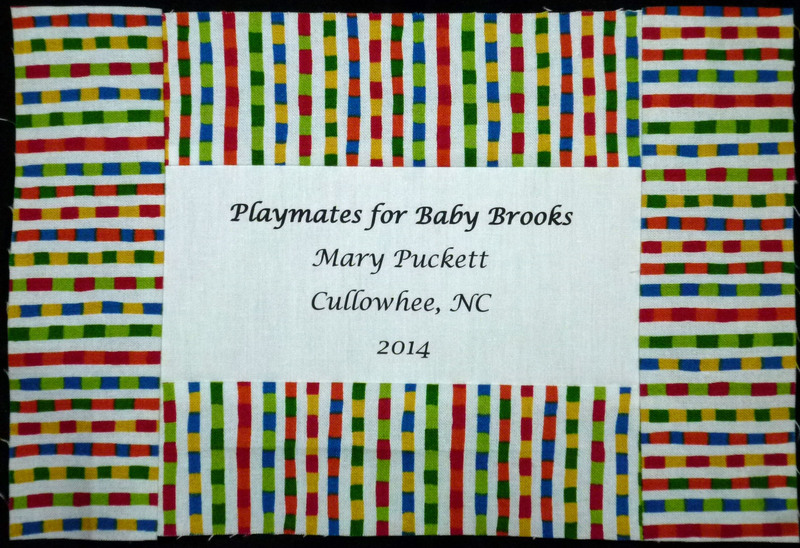 I have made my quilt labels a variety of ways and generally have felt that the result looked amateurish. However, I’ve now developed a method that I like, so here’s how. I like to frame each label with leftover binding from the quilt because I like the way it looks. 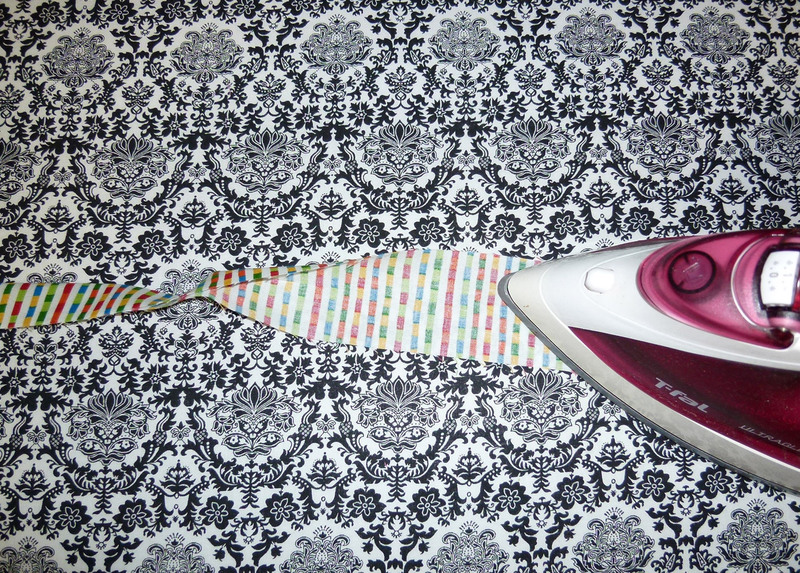 That printer-ready fabric is very stiff, so the border makes the whole thing easier to sew to the quilt back. There’s almost always enough left-over binding to frame the label. I start by ironing the binding open (yes, after having worked earlier to get it ironed into a nice fold). I then sew it to all 4 sides of the trimmed label with a 1/4 inch seam. I sew the binding to opposite sides of the label the press it out, away from the label. 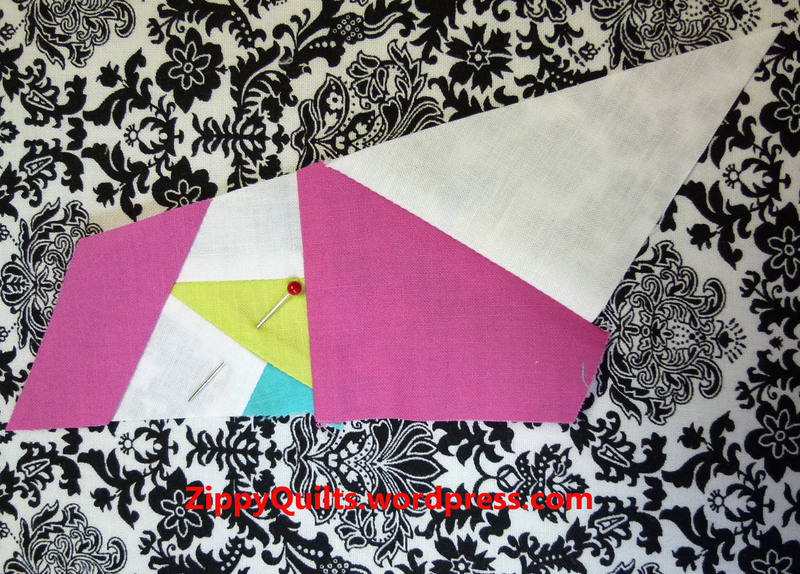 I then sew to the two remaining sides and press them out. 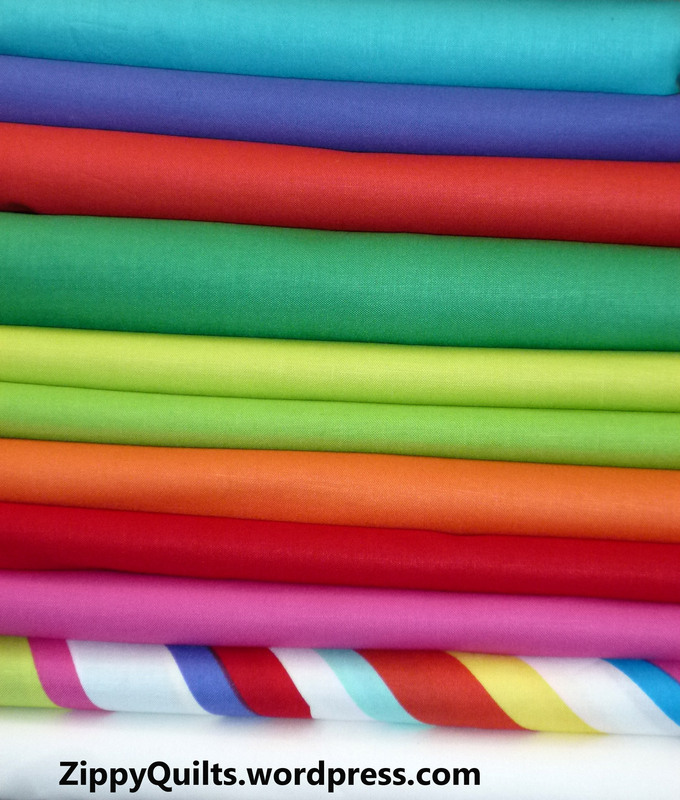 Note that it’s easiest to sew to the two (opposite) longer sides first, then to the two shorter sides, which are now longer because the border has extended them. After framing the label with the binding, I attach it as I would have done without the frame. That is, I turn under 1/4 inch on each side of the frame and sew the label to the back of the quilt by hand. I think having the label framed with the same fabric used to bind the quilt gives it a nice finishing touch.